The newly re-furbished hair salon offers a bright, modern place to have your hair treated. Our fully qualified stylists will work with you to help create your perfect style and colour. All our hair stylists are fully qualified to SVQ Level 2 or above and have had salon experience before working on the floor. 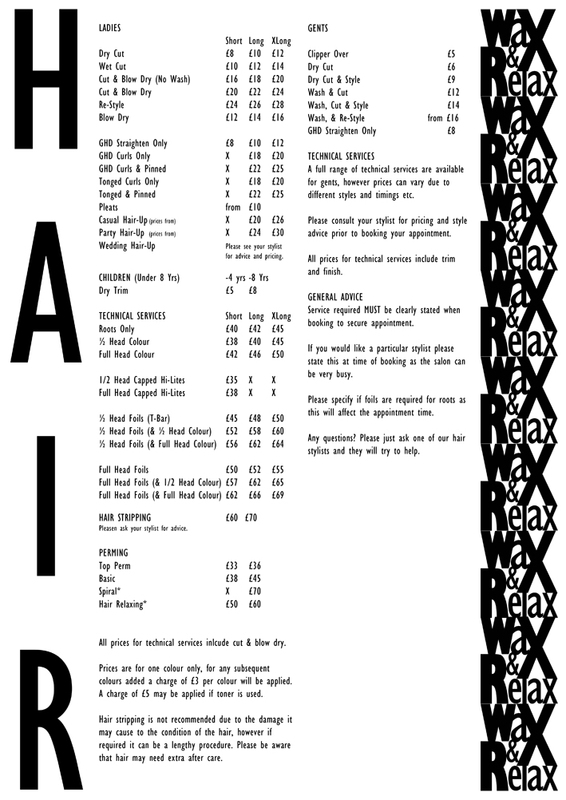 Download a copy of our hair treatment list here.